An Indonesian entity called Greenomics this month accused the Rimba Raya Biodiversity Reserve Project of failing to secure usage rights and overstating the amount of forest it had saved. A quick dive into available documents, however, shows it’s Greenomics that failed to do its homework. 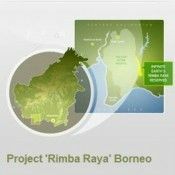 23 July 2013 | Earlier this month, a document entitled “Rimba Raya Conservation Project’s claims could mislead the public and the carbon market” popped up on an Indonesian site called Greenomics.org. The cover page made two incendiary claims that, if true, would mean that one of the largest REDD projects on the planet had both failed to secure tenure and overstated the amount of forest it had saved. “Not true that the Indonesian Government has approved 64,000 hectares for Rimba Raya Conservation Project,” the cover proclaimed. “More than 60% of area whose ecosystem is to be restored under the Rimba Raya Conservation Project was not originally slated for palm oil plantation development,” it blared. Neither claim, however, is standing up to scrutiny, and a quick literature review shows that the Greenomics “report” selectively references government decrees and letters that support its claims while inexplicably ignoring those that prove it wrong. Indeed, every “smoking gun” the Greenomics authors claim to have discovered is also referenced in the May 2013 Verification Report, which is the document that auditors from SGS Global Services were required to compile in the process of certifying the project under the Verified Carbon Standard (VCS). You can download it by clicking “Verification Report” to the right, or by going to the relevant VCS documents page. The Greenomics report also fails to differentiate between the project’s accoun/ting area (the 47,237 hectares on which it’s actually generating credits) and its management zone (the 63,828 hectares within which the accounting area lies); and it misrepresents the status of the land at the time the project began. Finally, it claims that notarized letters of support from various ministers have no meaning without secondary letters, but provides no legal basis for that claim. The document rightly points out that 18,642 hectares of the project area are in the Tanjung Puting National Park, and it implies this territory was already protected before the project began. But it ignores readily-available documents that tell the full story. Specifically, it ignores the fact that the state moved the boundary of the park into the project area after the carbon project had already saved that portion of forest. You can see this by turning to page 12 of the Project Document (see “Project Document”, right) or scrolling to the map below. It shows all of the region’s planned palm oil concessions from 2008, with the then-planned project management zone outlined in green and the carbon accounting area outlined in orange within this. Not coincidentally, the carbon accounting area coincides with a massive area shaded gray – this is land that the government had designated for planned palm oil concessions, despite the Greenomics claims to the contrary. It’s the reason the project came into existence, and it’s why they were credited with preventing 2,462,212 tons of carbon dioxide from being emitted from July 2009 through June 2010. In this map, the National Park is to the left of the project, because that’s where it was when the project began. It wasn’t until March 2013 – long after the project developers had saved the forest – that the state expanded the park into the project area. At that point, the project developers entered into a Cooperation Agreement (see “Cooperation Agreement”, right) spelling out their new obligations as custodians of a piece of national park, but they had already been protecting the forest for years. Greenomics, however, implies that the project was placed in the park from the start, which it was not. For additional proof, you can turn to the Additionality Support Documents (see “Additionality Support Documents”, right), which contain licenses granted on the properties before the project began – clearly showing that palm oil developers were lining up to develop the land, and clearly demonstrating that the forest would have been cleared for palm oil if the project not been created. Greenomics also rambles on and on about the lack of any individual document or decree giving project developers the right to the 64,000 hectares (actually, 63,828) – ignoring two simple facts: one, that the total area isn’t one parcel, but several; and two, that these parcels are governed by different decrees and agreements. The SGS Global Services auditors covered this on pages 11 through 13 of their Verification Report, where they reference each of the decrees and agreements covering each property as well as a letter from the Ministry of Forestry’s Director General of Forestry Planning, Bambang Soepijanto, summarizing and reiterating the project developers’ rights in a letter (see “Working Area Letter”, right). If all this documentation, plus the notarized letter from the minister and the auditors’ report aren’t enough for Greenomics, what is? Only one of the parcels referenced in these documents is the 36,331-hectare parcel that Greenomics focuses on. Another is the 18,642 hectares for the National Park, which we covered above. Another one, which Soepijanto identifies as being 8,855 hectares, is treated in the Verification Document as two parcels of 2,394 hectares and 6,512 hectares each that had been given over to commercial palm oil operators. Interestingly, the auditors did find some language that at first appeared to annul the project developer’s rights to the first of these small properties, but the issue duly noted and resolved. Finally, there are two smaller parcels of 820 and 95 hectares each – both of which are also referenced by auditors and by Soepijanto. With so many pieces of the puzzle so readily available, one has to wonder why Greenomics chose to focus on just a few. It does appear they are right about one thing: someone seems intent on misleading the public and the carbon market, but it doesn’t appear to be the Rimba Raya project developers. Steve Zwick is the Managing Editor of Ecosystem Marketplace. He can be reached at szwick@ecosystemmarketplace.com.